Belts are not standardized. And by belt, I mean the strap that attaches to the buckle and circles your waist or hips. 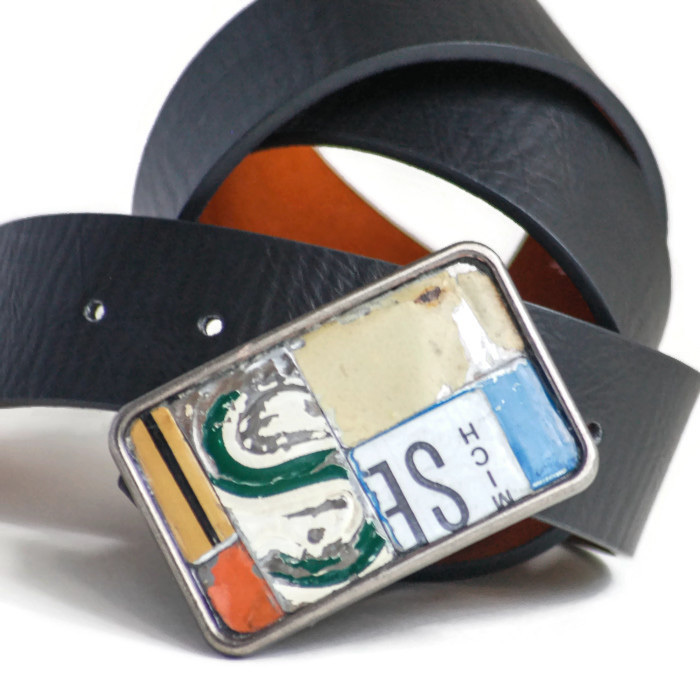 Just like with other apparel, every belt manufacturer uses their own size standard. One shop's medium might be another shop's small. Choosing your belt size by your pants size is not a great idea either. Pants makers use different sizing systems. Not to worry. You are guaranteed to pick the right size if you follow one easy rule - Measure a belt that fits you. Measure it from the tip to the fold where your buckle is attached. Have you done that? Good. Now, take that number and compare it to the measurements given for the size of strap you are considering. Easy! Need some help with figuring out your belt size in my shop? Or can't decide between buckles? I'll be happy to steer you in the right direction. Comment below or contact me with the contact button. These every one of the charts demonstrates the underlying advance to working the vital task. The extraordinary engineering first draws the sketch with resumes planet review and see the blunders of the graph in the wake of finding the deficiencies they beginning their work on this task which is the piece of the undertaking.